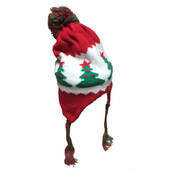 This Christmas beanie hat is a fun alternative to a traditional santa hat. The beanie hat has a fun pom pom on the top of it and tassels on each side. Coming with a fun Christmas tree design these are perfect for Christmas caroling or just for everyday wear this Christmas. …top hat a step above the black plastic top hat. The black velour top hat is made of plastic but with its coating of velour it has an extra soft feel and looks more like an authentic top hat. 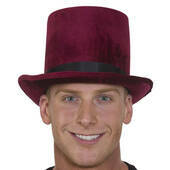 Wear this great top hat for your new years eve celebration or wear it as you go caroling for Christmas. Celebrate Cinco de Mayo with these great Fiesta rubber ducks. Each fun fiesta duck has a sombrero and is ready to have a fun fiesta. These sweet treat rubber ducks are a great addition to your Alice in wonderland party. The sweet treat rubber ducks look like ice cream and a great way to add some fun accessories to your Alice in Wonderland party. Send in the mariachi band with these fun mariachi ducks. These ducks are a great duck to use for any fiesta or Cinco De Mayo themed duck river race.